I tried to read this, but it just wasn't my cup of tea, mostly because of the main character. I had a bad feeling two pages in when she described herself as "the least among them, nothing special, just a girl" and then goes on to talk about her unusual talents and how misunderstood and put-upon she is. I might be able to deal with her melodrama if the plot was more engaging but even after the disaster, it felt uninspired and predictable, with overly obvious morality tales. I was just not in the mood to read this stuff. 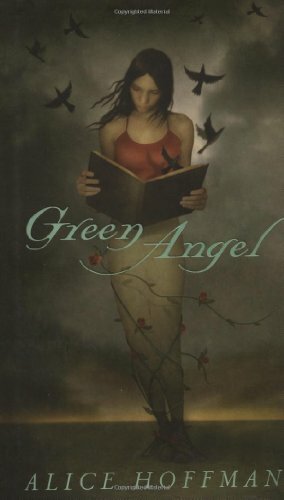 Hopefully the next reader will be more patient with Green and her tale! Taken from the Otherworldly bookbox. This was a super-quick read that I really enjoyed. Will be traveling to a new reader soon. Thanks for playing Blind Date with a Book - March Edition - on Facebook.